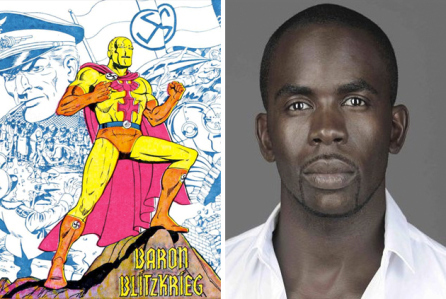 Deadline Hollywood reports that former Holby City star Jimmy Akingbola has landed a role in the hit US TV show Arrow. In the DC Comics, Baron Reiter — more well known as Baron Blitzkrieg — is the leader of the nefarious group Shadowspire. In Arrow, Baron Reiter will be Oliver’s adversary seen in flashbacks. This grizzled, hardened and commanding man, who has no conscience and few compunctions, offers Oliver a job in his underground organization. Akingbola will next appear in the Universal feature Spectral. I always knew that Jimmy would be the next black British star to land a big role in an US show. Tagged as: Arrow, Black British, congratulations, Holby City, Jimmy Akingbola, Success, YES!